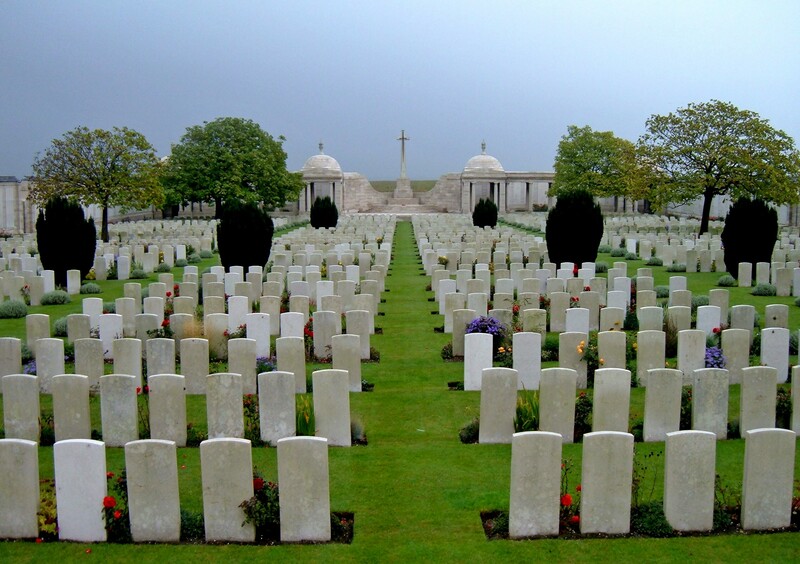 Military Cemetery/Memorial / Fynwent milwrol: Loos Memorial. Ref No Grave or Memorial / Rhif cyfeirnod bedd: Panel 69-73. Killed in action at the First German Lines during the Battle of Loos, on Saturday 25 September 1915, aged 19 years. Hugh Frederic Grenville Bromley was born in Rhyl, Flintshire on 12 October 1895. The 1901 Census tells us that the family lived at Annerley, Russell Road, Rhyl, Flintshire, North Wales. The head of the family was Richard Bromley aged 36, who was born in Manchester on 23 January 1865. He was a Solicitor and Clerk of Peace. His wife Edith Maud Bromley (nee Bellamy) aged 26, born Tuleshill, London in 1875 and their three children – Hugh Frederic Grenville Bromley aged 5, John Ledger Bromley aged 3 and Richard Russell Bromley aged 11 months. There was also two employees of the family living in the house at that time – Jane Jeffrey aged 22, a General Servant and Lizzie Bassett aged 31, a Domestic Nurse. During August 1914 Hugh enlisted as Private No. 2380 with one of the London Regiments but soon after was commissioned as a Second Lieutenant with the Royal Sussex Regiment and arrived in France with the Regiment on Sunday14 February 1915. His younger brother John Ledger Bromley was also killed during the the first world war and his name is inscribed on the Rhyl War Memorial. Hugh is also remembered on the Brighton War Memorial, Sussex and the North Wales Heroes Memorial Arch, Deiniol Road, Bangor, North Wales. North Wales Heroes Memorial Arch, Bangor, North Wales. On 3 January 1917, a payment of £29.14s.9d was made by the War Office to his mother, Edith Maud Bromley and on 1 February 1917, a payment of £9.18s.3d to his brother John, these being monies owed to Hugh. On 11 June 1919, a further payment, which is recorded as a War Gratuity of £5.0s.0d was also made to Edith Maud Bromley. Ther is a Flintshire Roll of Honour Card from Hugh Frederic Grenville Bromley at the County Archives Office, Hawarden, Flintshire dated 25 September 1919, which was completed by Edith Maud Bromley (mother).